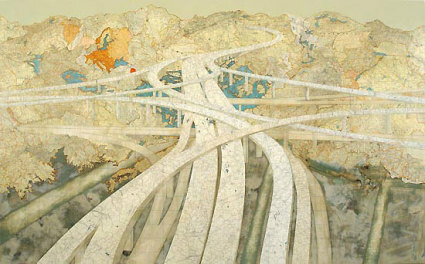 Matthew Cusick is an artist that makes collages out of old maps, atlases and geography textbooks. 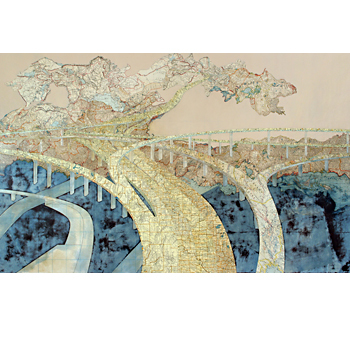 His work of art contains "maps that go nowhere." 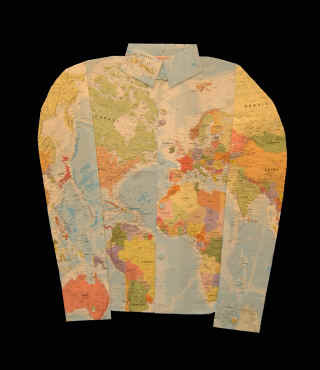 Here we even have some map clothing! 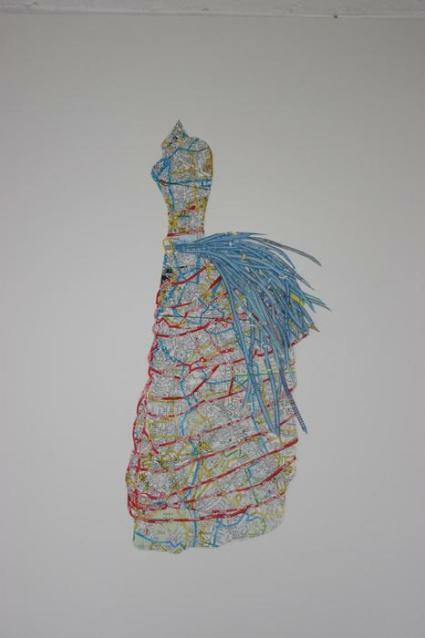 These are done by French artist Elisabeth Lecourt and are made out of maps of Paris, New York, London and other places. 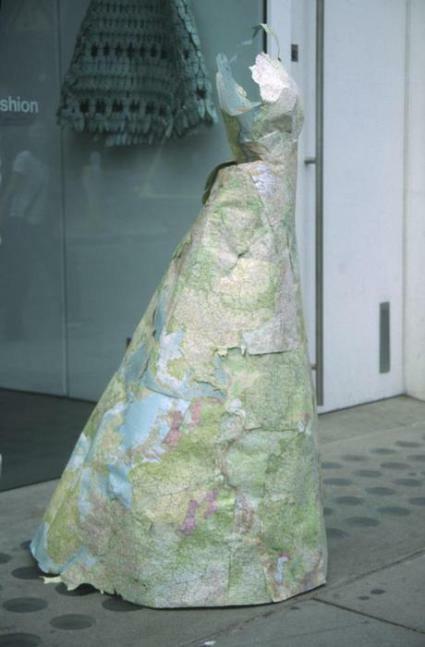 Map Clothing: Kind of has that '70's look to it, don't you think? 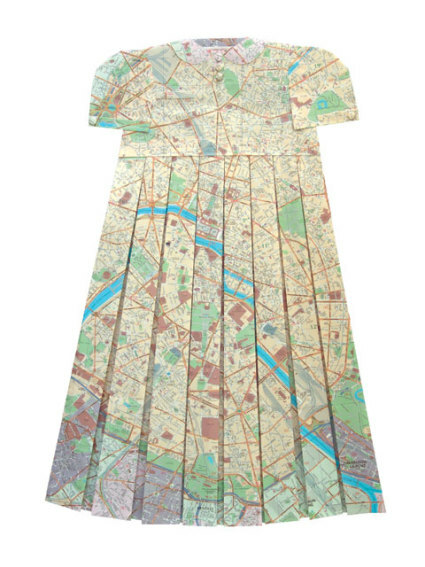 Map Dress: Would this be considered cheating if you wore it to school? 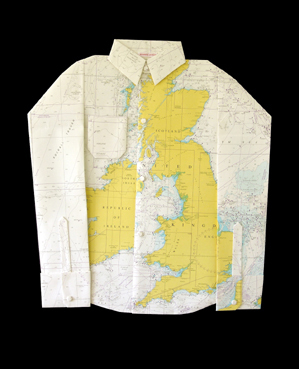 Map Shirt: I sure wouldn't notice any stains on this! 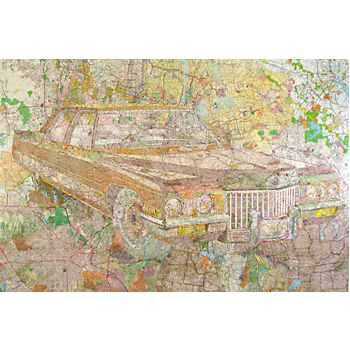 Artist Susan Stockwell creates her artwork out of anything. 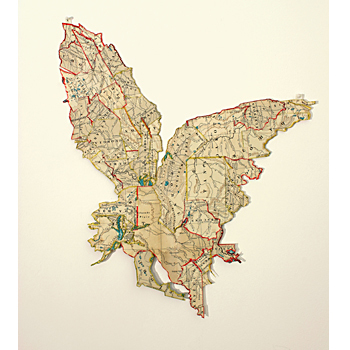 She makes map outlines out of everyday objects and also clothing (not made to be worn, of course) out of maps. 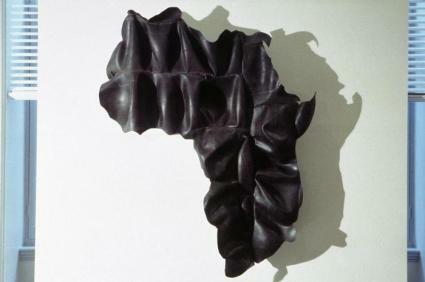 So what do you think of this map art? 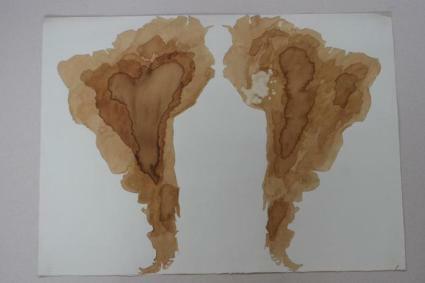 I have problems folding a map back together, much less making artwork from it. The dresses are pretty cool, though. I'd wear one if I had somewhere to go, but sadly, I don't.